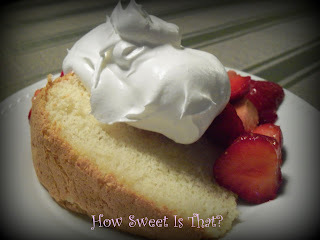 Nothing beats a light and airy chiffon cake with fresh strawberries and whipped cream. It is my go to recipe for a neighbourhood barbecue or a small family gathering. 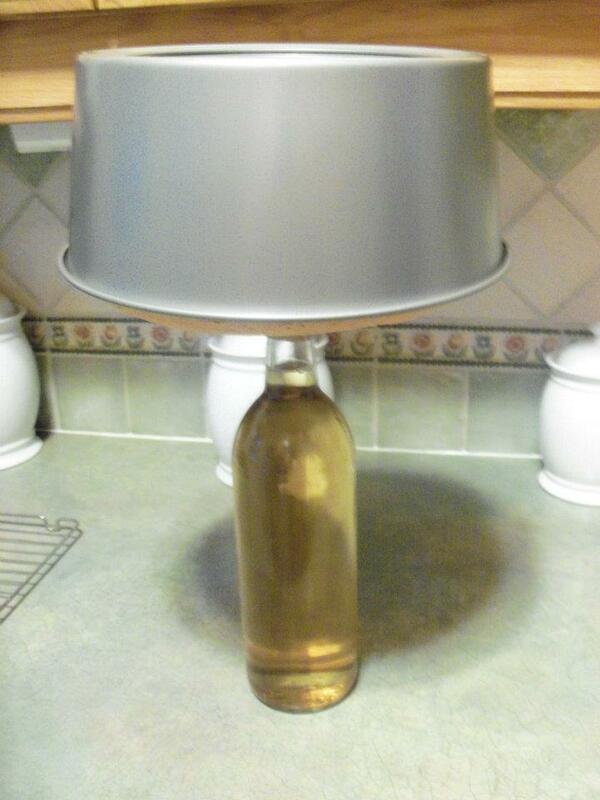 There is one important tip in maintaining your cakes full height, and that is to cool it upside down. 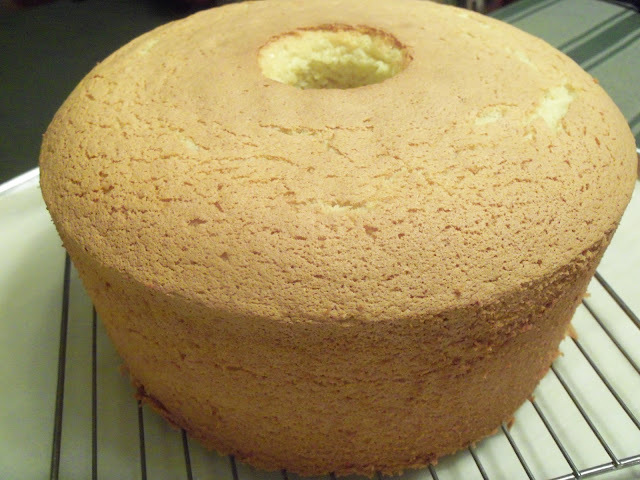 Chiffon cakes can be made plain or fancy in just about any flavor you can think of: lemon, orange, chocolate, peppermint, banana or with bits of chocolate or nuts. It is often served with a dusting of confectioners' sugar; with whipped cream and fresh fruit; or frosted with fluffy seven minute (boiled or marshmallow) frosting. Buttercream is much too heavy for this light textured cake. The cake can also be hollowed out and filled with chiffon filling for a truly elegant dessert. This recipe makes a large tube pan cake, enough for 16 to 20 slices. It freezes well and is a good base for Baked Alaska or filled cakes that need to be served cold, because unlike butter or shortening based cakes, it retains its soft texture in the refrigerator. In a large mixing bowl, beat the egg whites with the cream of tartar until foamy. Gradually add 1/2 cup of the sugar and continue bearing until stiff and glossy. Set aside. Whisk together the remaining 1 cup sugar with the flour, baking powder and salt. In a separate bowl, beat the oil, milk, egg yolks and flavourings until pale yellow. Add the dry ingredients and beat until well blended, about 2 minutes at medium speed using a stand mixer or longer with a hand mixer. Gently fold in the whipped egg whites, using a wire whisk. Be sure to scrape the bottom of the bowl so the batter is well blended. Pour the batter into a ungreased 10-inch tube pan. Bake for 1 hour. Don't open the door during the first 45 minutes of baking; the cake will rise above the pan, then settle back almost even. It's done when a finger gently pressed in the center doesn't leave a print; you'll be able to hear a crackling sound if you listen carefully. Remove the cake from the oven and cool it upside down for 30 minutes before removing it from the pan. I use a thin necked bottle, like a wine bottle and thread the bottle neck through the hole of the tube. When the cake is completely cool, run a knife around the outside edge and around the tub. Turn the pan upside down and tap it to remove the cake. Frost the cake and cut it just before serving. Dip a serrated knife in hot water between each slice if you want smooth, even pieces. Lemon or Orange: Replace the cream of tartar with 1 tablespoon lemon or orange juice; eliminate the almond extract and 1 teaspoon of the vanilla extract. Fold in 1 tablespoon lemon or orange zest or add 1/2 teaspoon lemon or orange oil at the same time as the vanilla. Chocolate: Decrease the amount of flour to 1 1/2 cups and sift 1/2 cup natural cocoa into the flour-baking powder mixture. Coconut: Substitute coconut flavor for the almond extract using 1 teaspoon if it's mild-strength or a few drops if it's a very strong flavouring oil. Beat 1 cup of shredded sweetened coconut into the batter along with the flour. Vanilla: Increase vanilla extract to 1 tablespoon and omit the almond extract. Makes one cake; serves 16 to 20.